A few weeks ago, I stopped by Crestview Preparatory in La Canada to chat with head of school Baudelia Chavez Tayor. I’d never seen this absolutely charming school, but I’ve heard parents buzzing about it since Baudelia left the Center For Early Education about three years ago to become Crestview’s head of school. Baudelia is immediately likable, personable and low-key. As we talked, I saw her genuine passion for the school, as our conversation flowed from big picture education trends like STEM, Maker Spaces and Robotics (yes, Crestview has these programs) to what’s happening in the school’s Harry Potter garden which functions as a science lab of sorts. 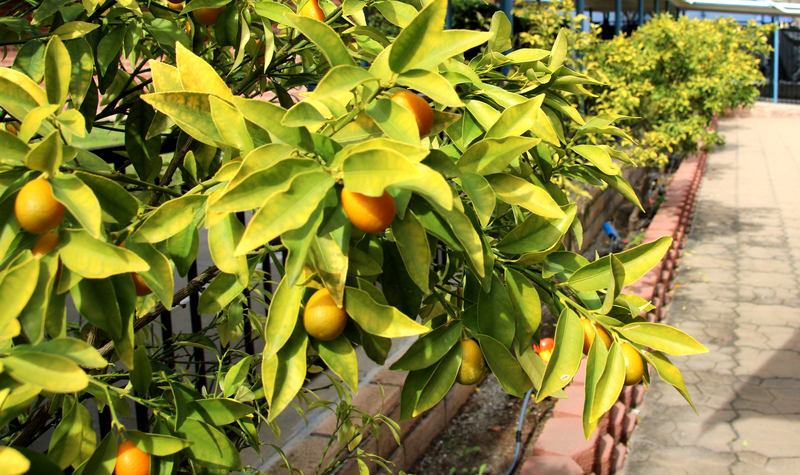 The school plants fruits and veggies that local wildlife animals won’t eat, hence the gorgeous Kumquat tree. 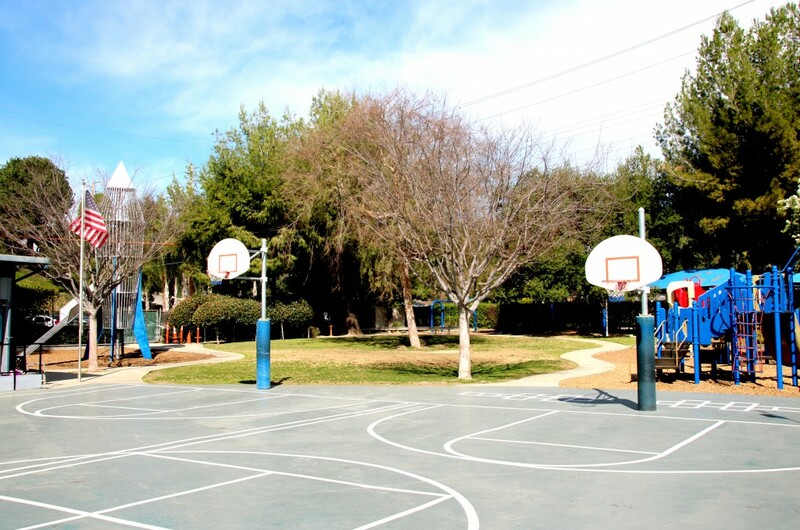 Crestview is very close to Pasadena and is accessible for families who live in Eagle Rock, Atwater, Silverlake, Los Feliz and other areas including the San Gabriel Valley. 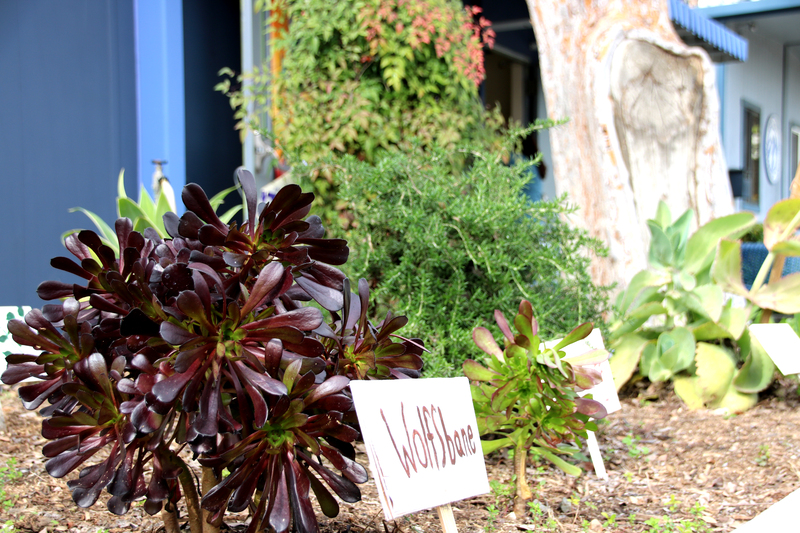 The school is a blend of traditional and developmental philosophies, with a focus on respect for childhood. One big change Baudelia instituted since taking over the school is a new homework policy. Now, there is “must-do” homework and “may-do” homework. Homework, Baudelia notes, must reinforce and relate to classroom work. The school has a lot of impressive programs like a robust technology program where kids start learning about computers in kindergarten where, as part of the curriculum, they learn to take apart a computer and put it back together, treating the computer as a “family” of parts that combine to create a whole. In later grades, robotics, coding and maker activities round out the program. 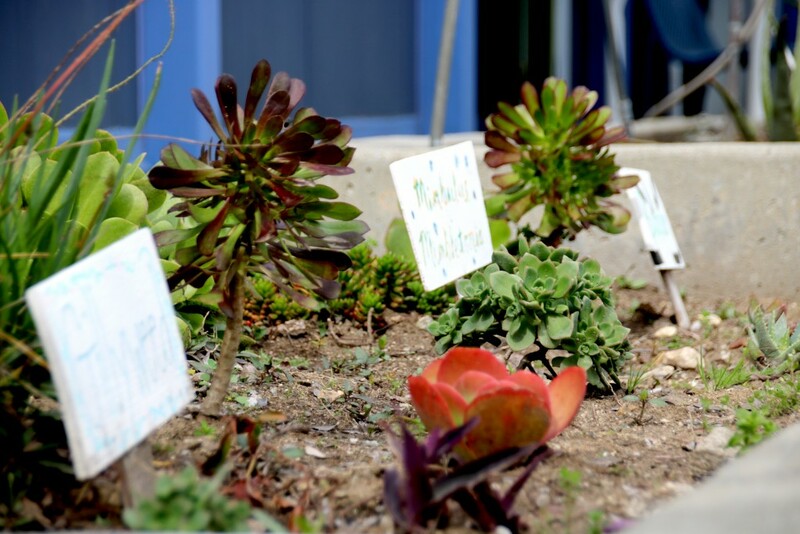 The school garden is a real-life laboratory, where students plant and grow various fruits and vegetables, with the goal of learning why certain plants flourished and others withered. The school is small, with 155 students total for grades K-6, so Baudelia knows each student and their family personally. She beams with pride as we walk around the campus, peeking in classrooms. She gives credit to her team of teachers, administrators and staff at the school as we walk around the campus. Parent volunteers, she notes, do a lot of work at the school too. Baudelia is no stranger to the secondary school application process, so when it’s time to apply for secondary school, she takes a hands-on approach beginning in 5th grade to help families find the right school for their child. I really like the way she described extracurricular activities, an important part of the secondary school process. She noted that a student can participate in the traditional activities like soccer and piano, but she believes in a broad definition of what comprises a student’s passion like reading voraciously outside of school, which can show a secondary school a student applicant who is studious, patient, imaginative and typically, a very strong writer. So what if your kid doesn’t play soccer! See the impressive list of schools where Crestview kids enroll for secondary school. 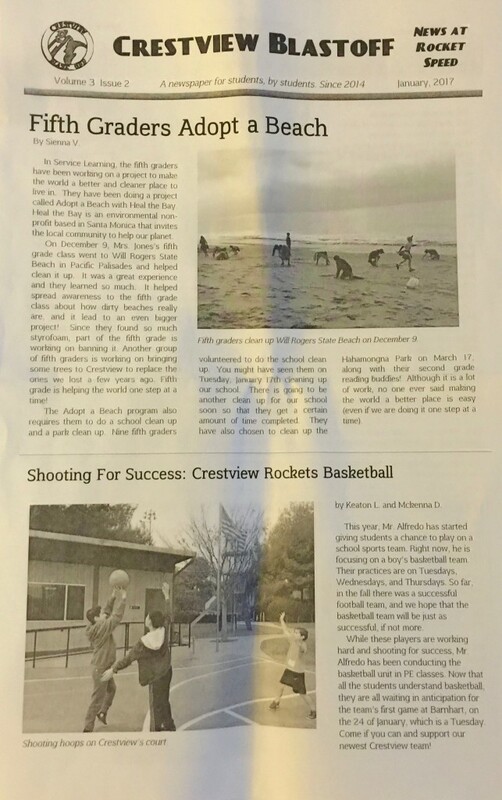 On my way out, I grabbed a copy of the school’s newspaper, Crestview Blastoff. How cool is that! Can you talk a bit about your background and experience? What brought you to Crestview? I started my career as a teacher at LAUSD working with bilingual students at the middle school level. 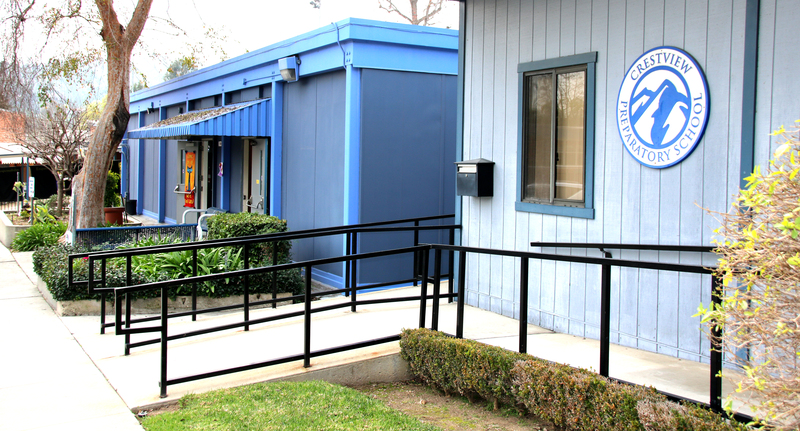 In 2001, I moved to The Center for Early Education in West Hollywood. I joined as a teacher in the early childhood and moved to the elementary several years later, landing in the third grade- my favorite grade to teach. From there, I joined the administration as the Director of Early Childhood Programs and led the early childhood division for several years before starting my headship at Crestview. The opportunity to lead Crestview was a blessing, as the moment I visited the school it felt like home. At that time, I was ready to begin a headship and the small size of the Crestview community was perfect. I was drawn to its commitment to elementary education and to providing a balanced school experience to its students. How would you describe the school’s educational philosophy? Crestview’s philosophy is centered around the “respect for childhood” and balance in education. We strive to provide structure and nurture as we deliver instruction. We provide hands-on experiences that our students anchor conceptual understanding around. Crestview describes itself as “the neighborhood school”. What are some things you do to build a strong school community of parents and students. Amongst the students, we help build community through our Reading Buddies program. We pair students in kindergarten and third grade, first and fourth grade, and second and fifth grade each year. They initially begin their interactions by reading with each other, as the year progresses they work on projects together, they working on community service initiatives and come together to play on a weekly basis. 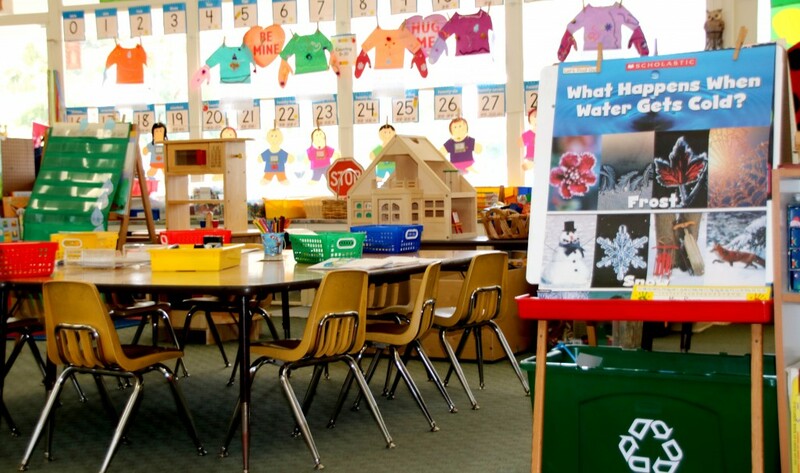 This allow them to build a strong rapport and feel connected across grade-levels. With our parents, we have many opportunities for them to volunteer on campus. We also have parties throughout the year that parents attend to get to know each other and build community. We have host families that welcome new families. Each school has a unique culture. How would you describe Crestview? Crestview is a small but mighty school, focused on educating children 5 to 12 years old. It is a welcoming environment that is nimble and dedicated on being reflective. We honor the voices of all constituents and encourage conversation about learning and development. Parents worry about placement into 7-12 schools. Crestview students go on to top schools in SGV and LA area. What does the school do to help students get into top secondary schools? Families are supported in the secondary school process by Crestview. We begin the process in fifth grade into the sixth grade year. The head of school meets with every family to discuss the student’s profile, advice focus in the summer, and suggest schools to consider. Students are given mock interviews and practice in writing essays to prepare them for the admission’s process. Here’s a list of some of the schools are graduates attend. Crestview offers CTY online for gifted students who are eligible. Can you describe this unique program? We identify current students in accelerated in mathematics through teacher referral, year-end grade-level tests, and ERB standardized testing results on the independent school norm. 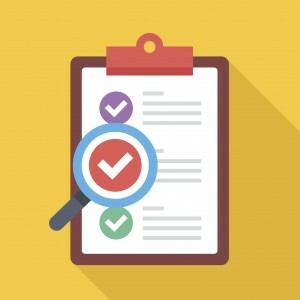 When identified they are still responsible for completing their grade-level work as they are provided with above grade-level material according to their individual level. We subsidize the courses for our students. What advice would you offer parents who are applying to Crestview? Any tips for getting their child in? I advice families to be themselves, we are interested in authenticity. We are child advocates and work hard to make the process a welcoming one for prospective families. We want parents and children to feel comfortable and share who they are with us. For all the latest private school news and events, follow Beyond The Brochure on Facebook! We’re excited to have Lisa Marfisi’s words of wisdom on the blog! Lisa has been an L.A. private school admissions director for 15 years (see her full bio below). So, you’re applying to private school and you think you have a plan. You’ve visited many schools, narrowed your choices and applied. You have edited your answers multiple times, gotten recommendations from your child’s favorite teachers, and submitted transcripts. You have friends who recommended you. You have interviewed, attended events and written lovely thank you notes to each Director of Admission you met. You are doing everything right! These are just the basics…. there are a few more “Dos and Don’ts” to think about and add to your to do list. ONLY apply to schools where you would feel comfortable enrolling your child. If you are not CERTAIN that the school is compatible with your educational philosophy and/or the culture does not “feel” right…don’t waste your time or the school’s time. It takes hours to visit, apply, interview and review each school. DRIVE to the school at the EXACT time of day you would be going to drop off or pick up. Many parents visit schools in the middle of the day and then are shocked to find out that there is A LOT more traffic and it takes A LOT longer than they thought it would to get there. FOLLOW DIRECTIONS! If the school asks for a photo of your child. Send them ONE. Do NOT send an entire baby album! If you are required to get recommendations, send recs from teachers who are CURRENT and who teach the subjects which were requested. When applying, remember MORE is not BETTER! If you send extra letters, recs, videos, etc….they will not HELP. In fact, it is unlikely that they will even be reviewed. PAY ATTENTION! Read the questions on each application carefully and answer the question that has been asked. If the question is about your child, the answer should be too! If the question is about your family, stick to the topic and tell the school what they are asking for. Don’t tell about your volunteer experience unless that is what the question is about! There is a reason they are asking. Schools try to get information that will help them determine if your child/family is a good fit. They will NOTICE if you do not follow instructions. In my practice, this is the ONE area that is consistently a problem for most parents. It is challenging to stick to the topic when you want to share SO much information. Make sure you only answer the question which has been asked! EVERYTHING counts! If you have to change your appointment multiple times, it will be remembered. If you are late, it will be noted, If your child jumps on the furniture in the reception area or you drive too fast in the parking lot, the school will KNOW. On the other hand, if you are very pleasant, on time and you attend many events at the school, this will be noticed too. DON’T tell EVERY school that it is your first choice. Schools are interested in families that understand their program and WANT them. If you REALLY have a first choice, it is important to tell the Director of Admission, but if you are not sure, it is better to say nothing. Take time to reflect on your own educational experience so you can remember all of the things that were important to you as a student. Think about your child and how he/she is different. Will the experience you had work for your child? If not, try to focus on your child’s needs so you can find an environment that is JUST RIGHT! This may be the only time in your life that you get to enjoy this reflective process. (When students are older, they do not depend on you as much for this process.) ENJOY this time. Talk to your child, your partner, your family and use this time to learn about yourself and your family. Remember that your idea of where your child should be may not match where he/she ends up and THAT’s OK. You may be pleasantly surprised to find you didn’t really “get” a school until you landed there. KEEP BREATHING! It will be OK! March will be here soon! 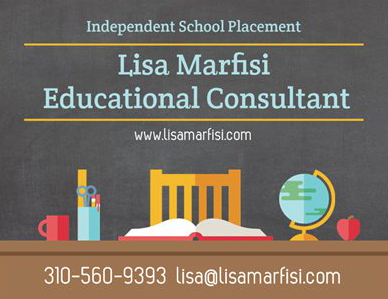 Lisa Marfisi has been a professional in education in Los Angeles since 1991. 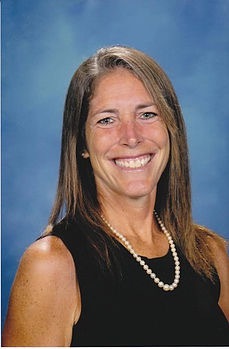 She was the Director of Admissions K-12 at Wildwood School and PK-6 at Echo Horizon School. She also worked at the Archer School for Girls, PS #1, and Westside Neighborhood School. Lisa’s experience has given her an understanding of what schools are looking for and enables her to help parents navigate the admissions process from an insider’s point of view. Lisa has been helping families with the admission process as a Director of Admission for 15 years. Her two children are in college at UC Berkeley and UC Santa Barbara. Lisa has experience as a parent at independent, public, charter and parochial schools. She holds a B.A. from the University of Pennsylvania. 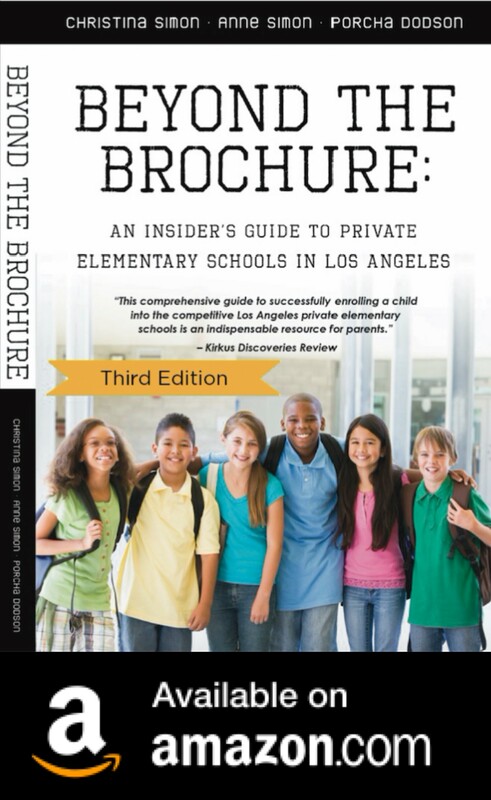 Keep up with Beyond The Brochure’s blog posts and L.A. private school news on Facebook.